A new model with an even larger working distance now completes the confocalDT IFS2405 sensor series used for precision displacement and thickness measurements. The offset distance from the measurement object can be up to 220mm, which proves particularly useful when measuring against hot surfaces. Measurements on hot surfaces such as those found in glass production, present a challenge as the distance between the sensor and the target is typically very small. The heat emitted from the target may compromise the accuracy or even damage the sensor. 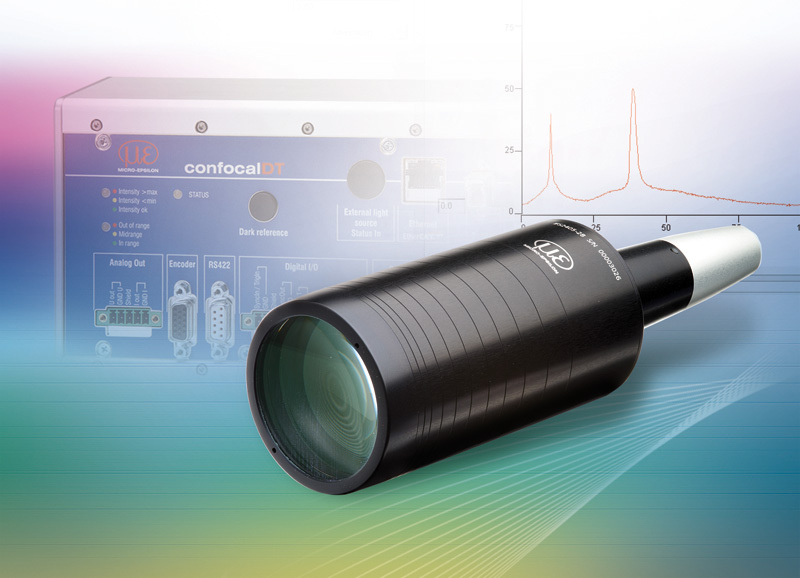 The new confocalDT IFS2405-28 confocal sensor enables a large offset distance of 220mm from the target. The measuring range is 28mm, which enables the sensor to be mounted at a safe distance from the object to be measured. Due to the unique measuring principle, the confocalDT IFS2405 series of confocal chromatic sensors is used for high precision displacement and distance measurements - including measurements on diffuse and reflecting surfaces. Furthermore, a one-sided thickness measurement of transparent or multi-layer measurement objects is also possible. The sensors provide a high sensitivity, which is why they can determine precise measurement values even on dark objects. As well as with an extremely small measurement spot size, the sensors also work at high resolution, enabling the detection of very small, fine details. The confocal chromatic measuring principle is non-contact, maintenance-free, provides long-term stability and so is ideal for high precision measurement applications. These sensors are for example applied in the semiconductor industry, glass industry, medical engineering and plastics production.